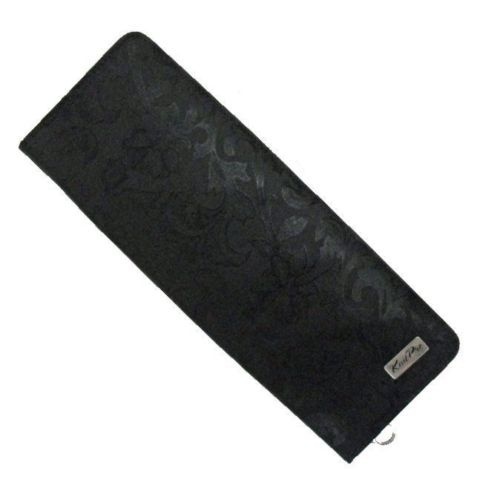 KnitPro Hard Black Jacquard Knitting Needle Storage Case.<br> This black case is the same case used by Knitpro in their Symfone Wood straight needles sets and is the ideal product to store your own Knitpro or other brand of needles. KnitPro Hard Black Jacquard Knitting Needle Storage Case. This black case is the same case used by Knitpro in their Symfone Wood straight needles sets and is the ideal product to store your own Knitpro or other brand of needles.